I am a retired teacher of mathematics and computer science. I live in Oława near Wroclaw. I am attracted by the beauty of many mathematical curves and the world of fractals. 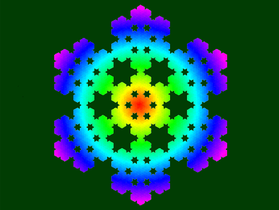 Currently, I deal with fractals created using the IFS and L-System methods. Can we have have 150 managers by 2019?!?!? !